Gen’s boasts about being able to steal anything land him in the king of Sounis’ prison. But then the Sounisian king’s magus has a special job for Gen: to help steal Hamiathes’ Gift, a mythical stone that is said to give the person whom the thief hands it to the right to rule. Their journey is a long and interesting one, with an undetermined chance of success, but Gen’s namesake being Eugenides, the God of Thieves, means that he just might have some more luck, skill—and secrets—than your average everyday thief. Every time I think of this series, I kick myself for not having started it when I was younger. Not exactly because I’d enjoy it more as a younger reader, but because I would have had more years to crush on Eugenides and the masterful storytelling that Megan Whalen Turner is capable of. To be honest, in the beginning I wasn’t very impressed with THE THIEF. The story starts in prison, and Gen is sick and scrawny and cranky. Not quite the most endearing character at this point. Even when Gen, the magus, the magus’ two apprentices, and their guard set off on their journey to steal Hamiathes’ Gift, I was less than pleased by Gen and the apprentices constantly ragging on each other. But gradually, my vision expanded beyond Gen’s pettiness and immaturity and began to appreciate the, shall we say, “surroundings.” The majority of THE THIEF is a quest, and I can’t pinpoint when I began to fall in love with these quarrelsome characters, but fall in love I did. As their personalities became clearer to me, I was often forced to revise my previous judgments on their character and even like them—or, in some characters’ case, feel more suspicious of them. Turner draws heavily upon the setting and stories of Ancient Greece for her story, and I could imagine the rolling landscapes, the endless olive trees, and the sunshine as I read. THE THIEF proves extraordinary in the last third or so, as Gen attempts to figure out how to steal Hamiathes’ Gift. I have heard that Megan Whalen Turner is a master of surprising plot twists, and was so delighted at what was revealed to me in the end. (Which I’ll not spoil for you, no way.) There are few things in books as exciting as a well-executed plot twist—but they also run the risk of being unbelievable. Thankfully, in retrospect, you realize that Turner sets up her revelations excellently, subtly yet memorably. 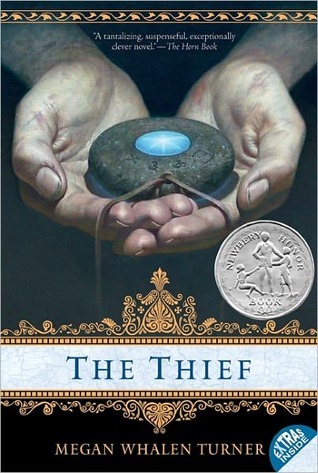 THE THIEF is a fantasy adventure that should appeal to readers both young and old. Rich with Mediterranean influences, stories-within-stories, and characters whose hair you really, really want to ruffle, it is no wonder that this book has withstood the test of time. I will be returning to you, Gen, when I need another dose of your cleverness and snark! Cover discussion: Fantastical and timeless. I love it. When Bria Sandoval sets off for Central America after her high school graduation, she only wants to escape her life: her emotionally manipulative boyfriend has just broken up with her, and she fears that she has lost her love of art forever. Along the way, she meets Rowan, an alluring, experienced backpacker with a past that he seems to want to move on from. Can these two young adults find what they need in the gorgeous landscape of Central America—and one another? Drawing on her own experiences as a backpacker, Kirsten Hubbard pens a story that is not only rich in exotic descriptions but also in a pair of damaged yet wonderful lovers. The main issue that I had with Hubbard’s first novel, Like Mandarin, was in my lack of connection with the underdeveloped characters. Fortunately, I didn’t have that problem with Bria or Rowan. Oh, I’ll be honest: they are two so very private, very introspective individuals that at the beginning I was worried it would be yet another story with pretty descriptions and bland characters. But even if I didn’t immediately love the characters, I certainly admired them: Bria may be in a rough place in her life, but she still maintains an irrepressible spark of wit and gumption in her narration, and Rowan’s aloofness hides a sweet and utterly real young man. Their attraction to one another (yeah, okay, we’re not going to lie and say we didn’t see it coming, so this is not a spoiler) develops gradually, which initially threw me off, because I’ve become (sadly) accustomed to insta-romances in YA, but which, by the end, I wholeheartedly appreciated. WANDERLOVE’s setting in the culturally and environmentally colorful world of Central America certainly adds uniqueness to the story, but ultimately this is a romance—a sweet and subtle and absolutely wonderful one that I can think back on with a smile. 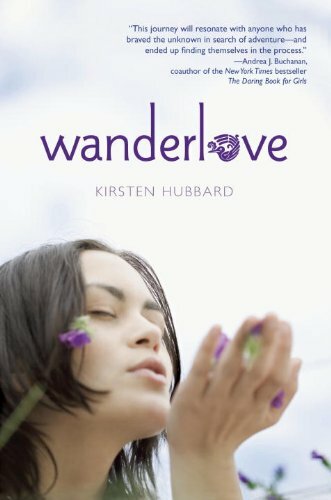 For those who are constantly on the lookout for a good YA romance, WANDERLOVE should be on your radar. Sang Jumnal’s pre-senior year summer hits the rocks when her parents force her to take swim lessons and she learns that a beloved uncle has a serious—and expensive—disease. But Sang is tired of being treated like a kid, and so she jumps at the chance of romance with the summer lifeguard, heedless of how her behavior affects her friends and family. 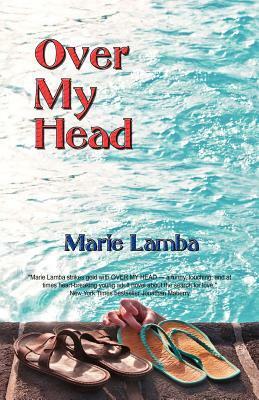 I didn’t realize until after I had finished OVER MY HEAD that it is actually somewhat of a sequel to Marie Lamba’s novel What I Meant. Which means that OVER MY HEAD can be enjoyed on its own. It is a quick, sometimes annoying, but still gratifying look into a mixed Indian-Caucasian teen’s ups and downs. The YA world very clearly needs more books like OVER MY HEAD, where the main character is of mixed race, culture is an important part of the story, but the story itself is not about accepting one’s culture or battling people’s ignorance of your culturally different family. Everyone knows a girl like Sang, a girl who is smart but is struggling with familial tensions, who is dealing with changing friendships and fending off the comments of less sensitive classmates. So, take an extremely relatable teenaged female protagonist, add in a dash of Indian culture, and you’ve got a setup that’s easy to connect to yet just different enough to expand readers’ horizons. Younger teens may be better able to appreciate OVER MY HEAD, as I found Sang and a lot of her behavior a tad immature for my taste. Okay, yes, I understand that feeling restricted by your parents’ seeming lack of trust in your maturity level may drive you to do irresponsible things such as ditching your siblings or sneaking off in the middle of the night with a boy who may or may not be taking advantage of you, but I suppose this was something that I never did in high school (okay, maybe I treated my siblings poorly every once in a while. It’s what big sisters do sometimes, eh? ), and so I felt that sometimes Sang’s actions felt a little contrived, a little overdramatic. Some other characters and their situations felt similarly unnatural, mean girls who acted like convenient nemeses to raise our esteem of our beloved protagonist. Sang’s peers may for the most part feel forced in my opinion, but OVER MY HEAD depicts the nuances of Sang’s family extremely well. I really enjoyed Raina, Sang’s cousin who comes to stay with her. Raina could’ve been yet another shallow mean teenager, or a self-pitying mess, but she is at times shy yet determined, vulnerable yet resilient. Sang’s parents behave believably strictly as well as lovingly, and so on. I often feel like familial relationships are the trickiest things to depict realistically in YA, and so Marie Lamba gets numerous kudos for portraying the Jumnal family in such an empathic and rich way. Overall, OVER MY HEAD may feel a bit young for high school readers, but younger readers will most likely find a bit of themselves, their frustrations and their desires, in Sang, and cheer this promising young lady on. Cover discussion: I am no longer interested in discussing the covers of indie books. This is a pretty, summery picture. Also available as a Kindle e-book for $0.99! e-galley received from author for review.